31-W Insulation has become a trusted name for metal garage doors in the Dayton, Ohio, area because we always go above and beyond for every customer that turns to us. We have the experience needed to ensure your complete satisfaction and provide personalized service as we’ve been successfully helping customers achieve their home improvement goals since 1972. From the design consultation to the installation of your garage door, you can expect the utmost professionalism as we have earned and maintained an A+ rating with the Better Business Bureau. 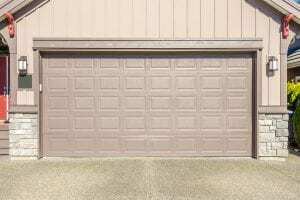 Manufactured by the industry leader Amarr®, the garage doors that we carry are also built for longevity and safety. With a durable steel construction and high wind-load resistance, any of our garage doors will hold its own against severe weather and need virtually no regular maintenance. These doors also come standard with flush-mount hinges, pinch protection sections, and tamper-resistant brackets that will help keep you safe. And to protect your investment in your home, an Amarr® garage door comes backed by a generous manufacturer warranty. If you would like to learn more about why residents throughout the Dayton, OH, area make 31-W Insulation their source for metal garage doors, contact us today.